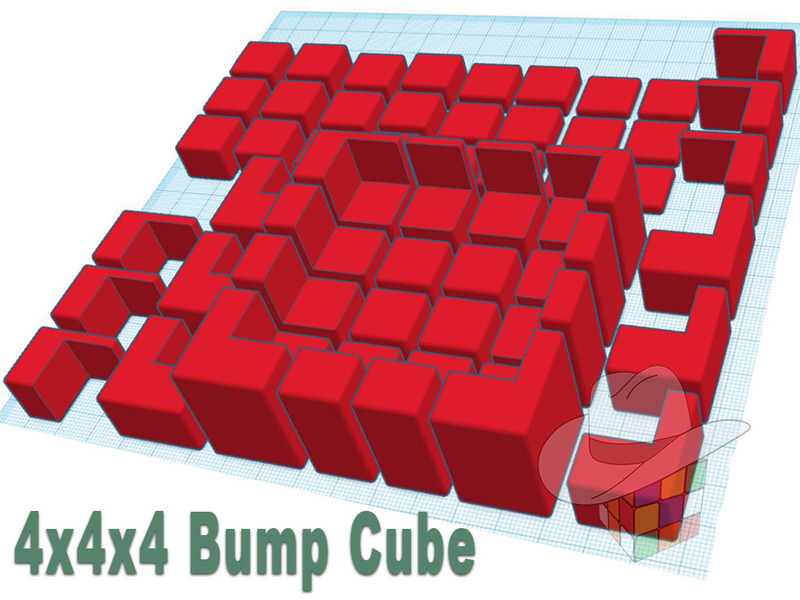 These 3D printed extensions will allow more people to make/own a 4x4 bump cube. Anyone can have a set of these extensions 3D printed and then glue them onto the specified 4x4 to create a 4x4 bump cube. You have the option to only glue on the extensions onto a base puzzle with little or no finishing for a rough looking, but still playable puzzle. 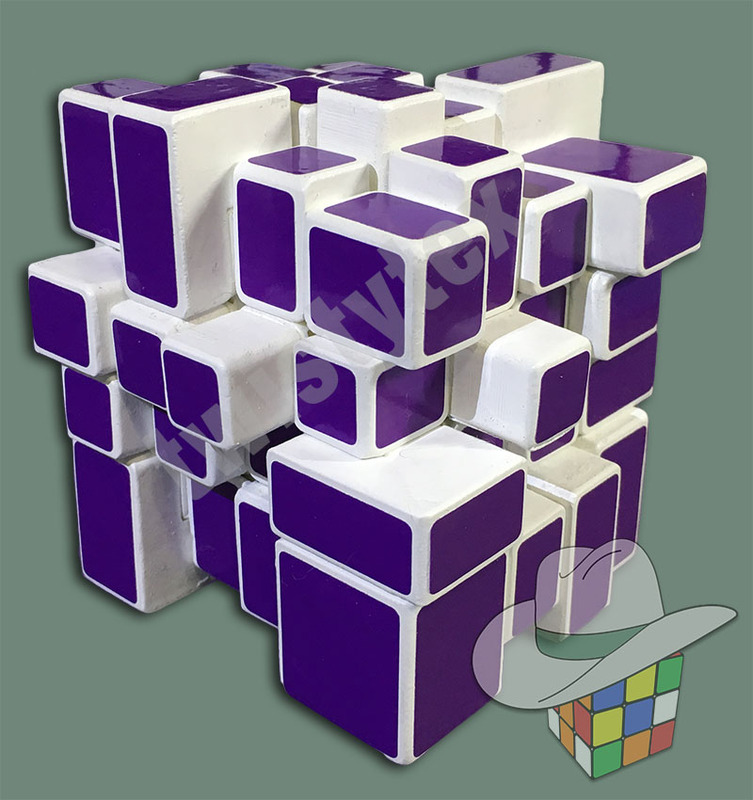 Or, if you are more of a modder, you can fill, sand and paint the puzzle for a more polish looking 4x4 bump cube. I prefer the Kung Fu Cang Feng as a base puzzle for these extensions. The following extensions will work on the Kung Fu Cang Feng, Moyu Aosu (62mm), MoFang JiaoShi MF4S, etc. JRCuber made two really great videos about puzzles made with these extensions… one unboxing video and one solve video. Two more very nice videos from Greg’s Puzzle Page by Grégoire Pfennig who is a master puzzle designer & modder. I sent him a 4x4x4 bump cube that I made for him using the Kung Fu Cang Feng extensions. Check you this very nice review from Speed Cube Review of a 4x4 bump cube I made for him using these extensions.